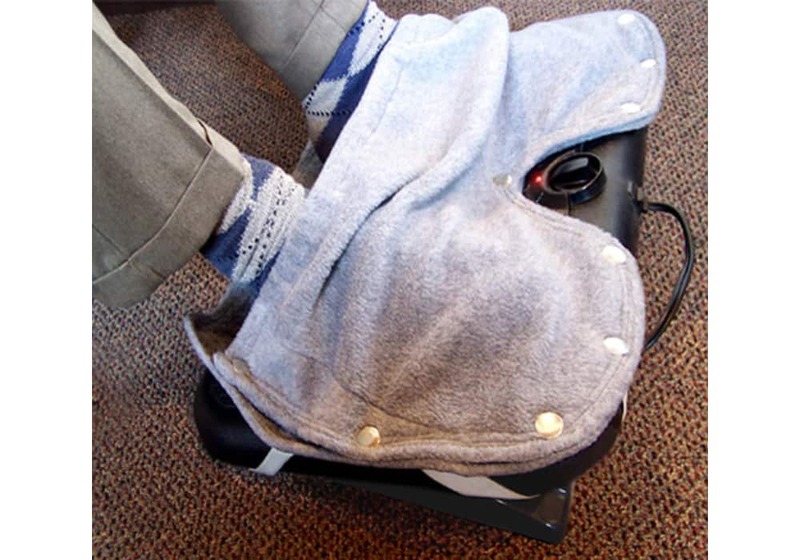 Fleece Cover for Heated Footrest - Keep Your Cold Feet Warm! When the feet are cold, so is the rest of the body. Heat promotes productivity and ends complaints at work from shivering staff - in cold climates or in air-conditioned offices. This fleece foot cover will keep your feet warm and cushy. Can be used together with our heated footrest (not included), or by itself to simply slip your feet into. When the feet are cold, so is the rest of the body. Heat promotes productivity and ends complaints at work from shivering staff - in cold climates or in air-conditioned offices. 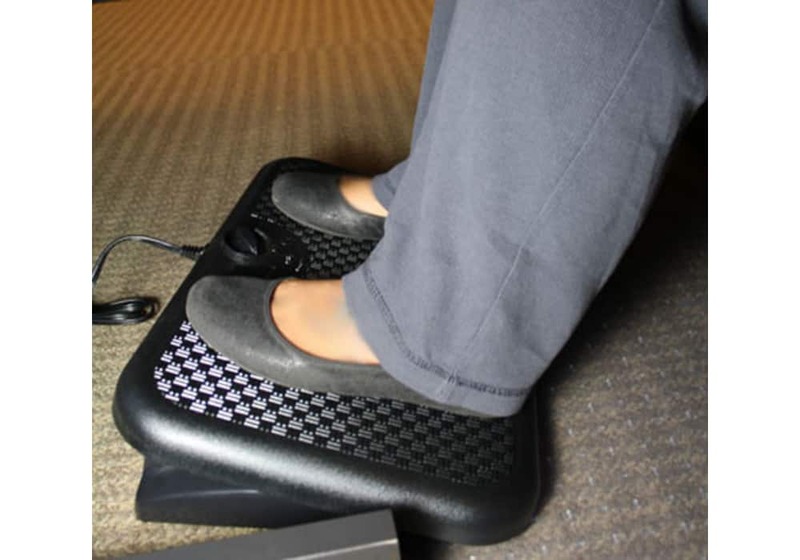 Also great for use at home to keep your feet warm and cozy while sitting at a desk or just hanging out in front of the TV. Pamper your feet even more. Place our foot cover made of fleece over our heated footrest (sold separately) to be even more cozy.